Send a little something special to all of your favorite correspondents with this boxed set of beautiful pop-up cards. 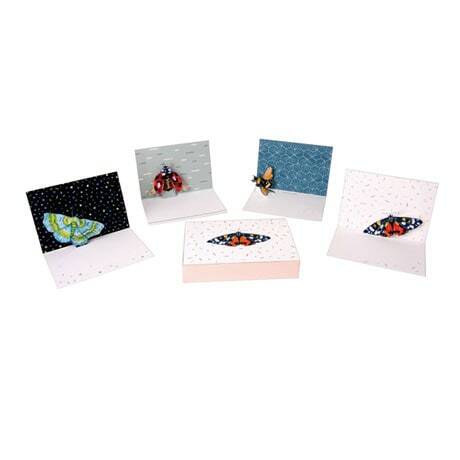 Each housing a delicate 3D winged wonder—moth, ladybug, bee, or butterfly—the 5"x3½" cards feature foil embellishments and plenty of space for sweet sentiments. Set of eight (two each of four designs), plus kraft envelopes.